1. 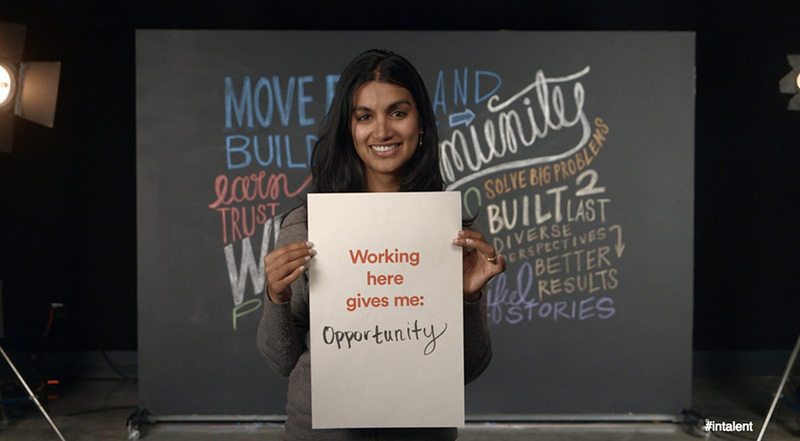 Figure out why people want to work for you, and emphasize that through your EVP. Five years ago, Raleigh, NC-based Epic Games, the company behind Grand Theft Auto and Gears of War, could count on brand recognition to attract the artists, engineers, producers and designers it needed. “Everyone came from within our industry,” said Tim Johnson, Director of Recruiting at Epic, during the session on developing employee value proposition. But Epic’s business eventually morphed from that of a traditional console game developer to distributing and marketing its games. The shift changed the number and type of people the company needed to hire, Johnson said. After getting torpedoed, Johnson went behind the scenes to better define and communicate Epic’s EVP. He talked to people from all disciplines – new hires, top performers, junior workers, people who left and candidates who turned down offers – to understand what employees cared about and why they loved their jobs. 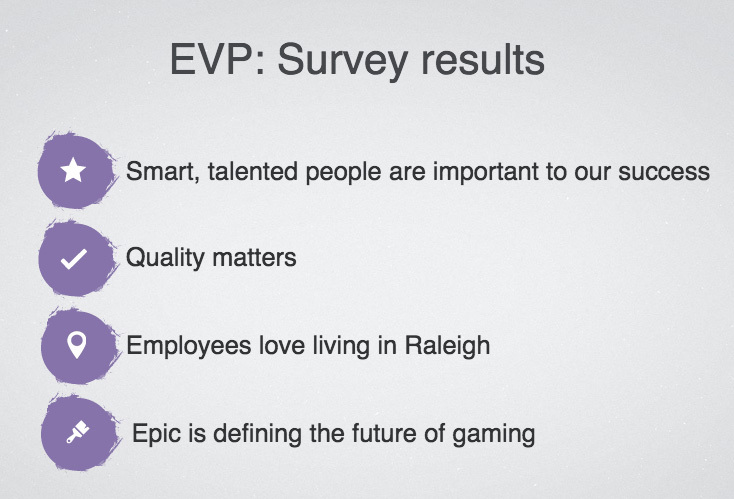 Based on their feedback, Epic introduced perks like unlimited vacation and flex work. And when Johnson learned employees felt the company came across as arrogant, he changed the tone of their messaging. Ultimately, Johnson boiled the insights down into an EVP that the team captured on video and shared across their owned channels and in their advertising. Today the talent acquisition team is part of the discussion about how Epic’s culture will evolve, based on their knowledge of what employees want and need. Similarly, Facebook clearly enjoys a well-established consumer brand but, thanks to increasing competition, needs to hire more experienced people than ever, said Sarah Duzik, Global Recruiting Brand Manager, during the same session. However, they struggled with a lack of employer brand consistency and had no intentional employee value proposition when she started a year ago. 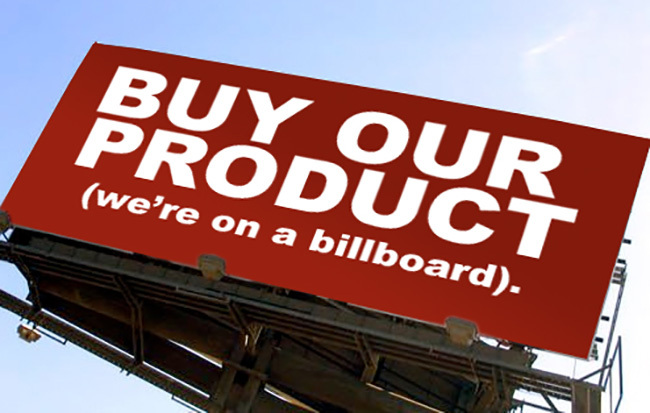 Part of what they were solving for was that prospects’ perception of the company didn’t match the reality. For starters, it’s not actually all about hackers at Facebook. Rather than joining a perceived hacker culture, many prospects like Duzik want to know if they’ll find a community within the company, and if there will be support for their growth. To help define and communicate talent brand and EVP, HR partnered with the Marketing and Recruiting teams. Duzik embarked on a five-week global company tour, collecting stories and insights from 11 countries, including 72 images and 53 video interviews. 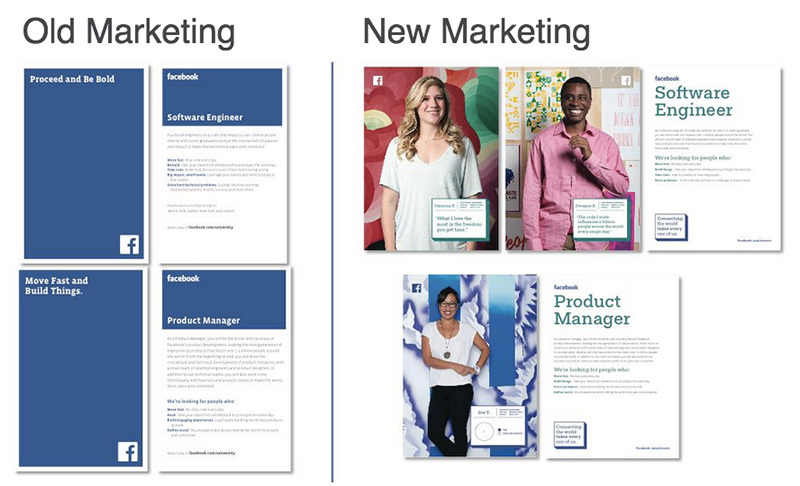 The cross-functional team then developed messaging and coined the tagline, “connecting the world takes every one of us.” They revamped recruiting materials and online touch points to reflect the rich stories they had collected. Even so, Duzik points out they’re just getting started, and EVP is a “living, breathing thing” that needs to be constantly monitored and updated. 2. 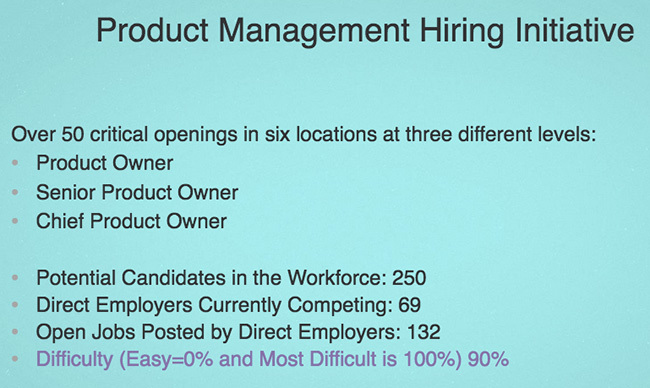 Use data to advise hiring managers and improve the hiring process. When DeVaughn started with the company, she and the team looked at a number of metrics that weren’t satisfactory, like time to fill and tenure of new hires. To find the right people, “hiring managers needed a better understanding of the market and what’s out there,” she said. 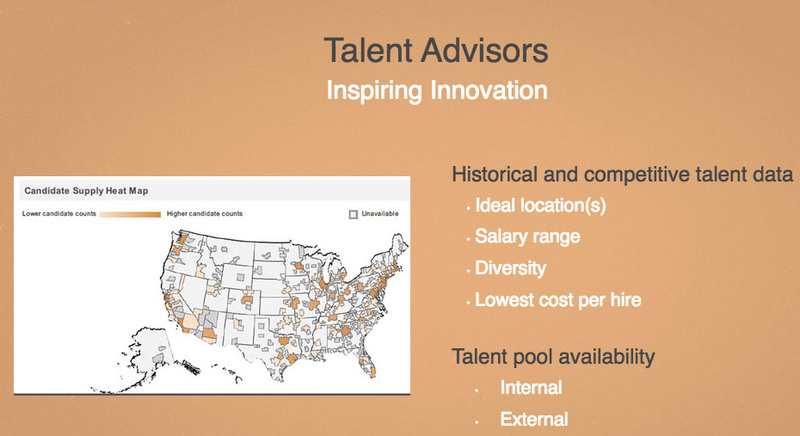 So, for an initiative around product management hiring, her team used talent pool data to demonstrate how much competition ADP faced in the market, including the “candidate supply heat map,” below. Now armed with an understanding of the competition and the reality of the existing talent pool, hiring managers who had been holding out for the elusive purple squirrel suddenly started interviewing candidates the talent acquisition team was sending, DeVaughn said. One piece of advice: Try using data in a pilot program, as above, like one hiring initiative or one business unit, she said. 3. Create global talent brand identity without sacrificing local individuality. Building a unified talent brand across an organization that operates in multiple countries, languages and cultures is no easy feat. As panelists in the session, “Putting together a global talent acquisition strategy,” noted, one challenge is how to figure out what part of the corporate identity should be centralized and consistent, and what can be left up to regional teams to localize. Ann Rennie, Deputy Director General, responsible for Human Resources at Asian Development Bank, agreed, calling their mission – to help developing member countries reduce poverty and improve the quality of life of their people – a secret weapon for recruiting people who are typically high up in their current organizations and well paid. When it comes to employer brand, though, companies can provide a little room for interpretation. Allergan has a global messaging framework for its brand but enables regional teams to tweak materials and communications to work in their area. What works in the US might not fly in Japan, for example, since Japanese culture involves strong preferences about how much a recruiter can communicate with a candidate via email. Many thanks to all the talent acquisition leaders who shared what they’re doing, what’s working, what’s not and what’s next.